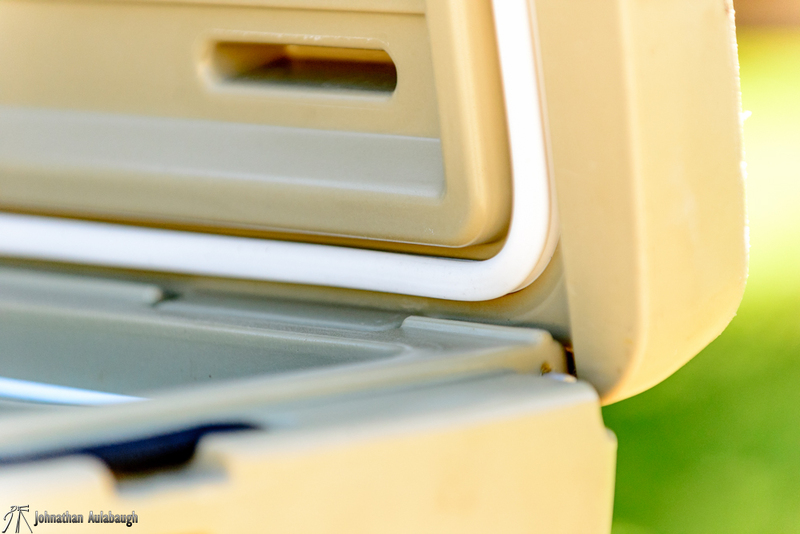 Let's face it, if you are going to be spending any time in the outdoors, you are going to need a cooler. 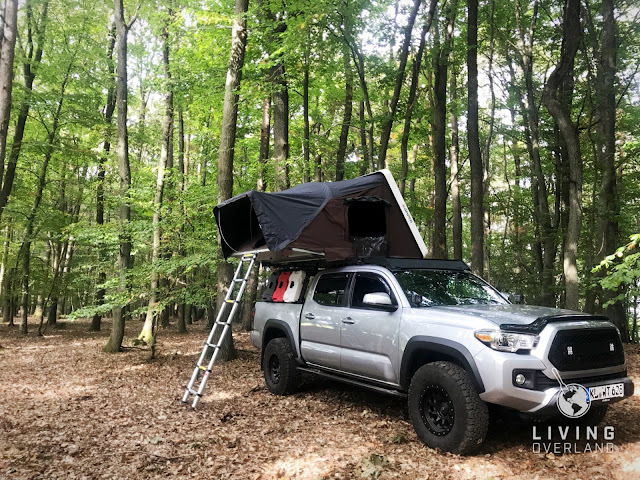 Back in October my family and I were blessed with the opportunity to go to the Blue Ridge Mountains, for the Overland Expo East, as well as spending some time in the mountains and traveling around the state of North Carolina and Tennessee. In preparation for the trip, I began doing a lot of research on how to keep my perishable food cold while we traveled. It was through this exercise I began to realize my existing cooler was just not up to the task. Sure it was supposed to be a 7 day cooler but it had never held ice for more than 3-4 days. 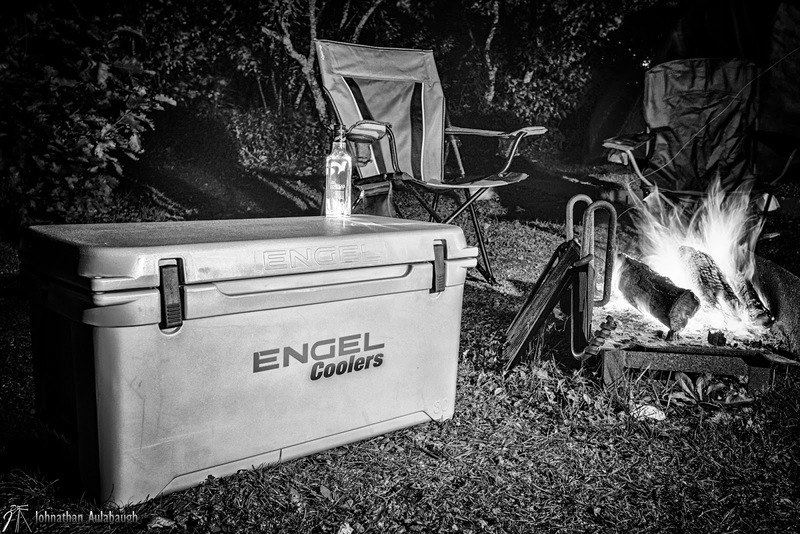 A good friend of mine uses Engel's DeepBlue coolers for all of his adventures and, after a few day trips out with him, it was apparent that I should be looking in that direction as well. 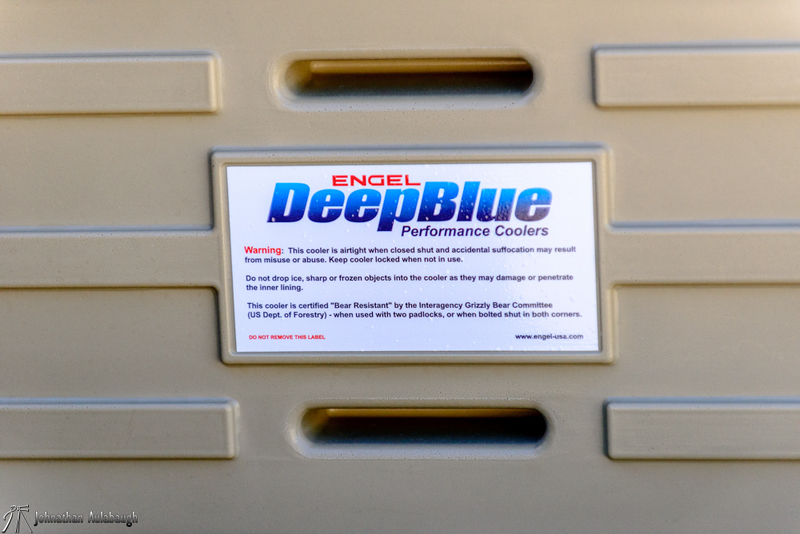 Sure I had been lusting after an Engel fridge for quite some time, like many overlanders, but I was just not in a position to take that plunge and this was the first time I had really gotten a good look at their line of DeepBlue coolers. I called Rob up and asked him about the company and after doing some homework, I decided to make the trip to ENGEL USA in Jupiter Florida, just a couple of hours south of me. 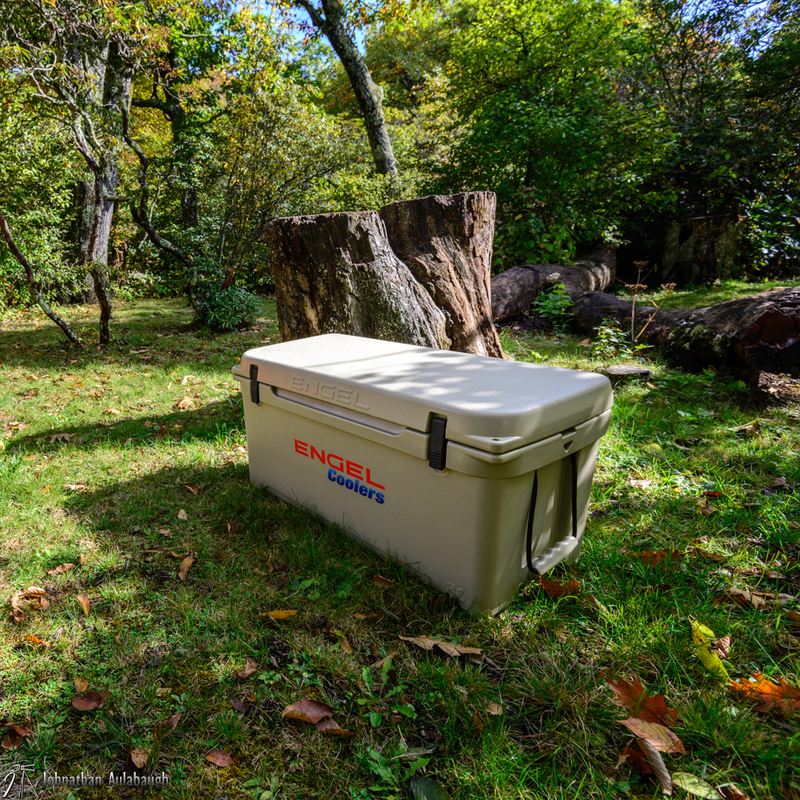 Between my hunting and photography I knew I could give this cooler a good workout. 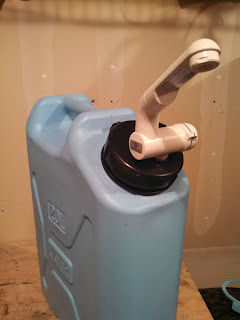 The Engel 80 is 33lbs of rotomolded polyethylene and polyurethane foam. To put it bluntly, this cooler is a beast. 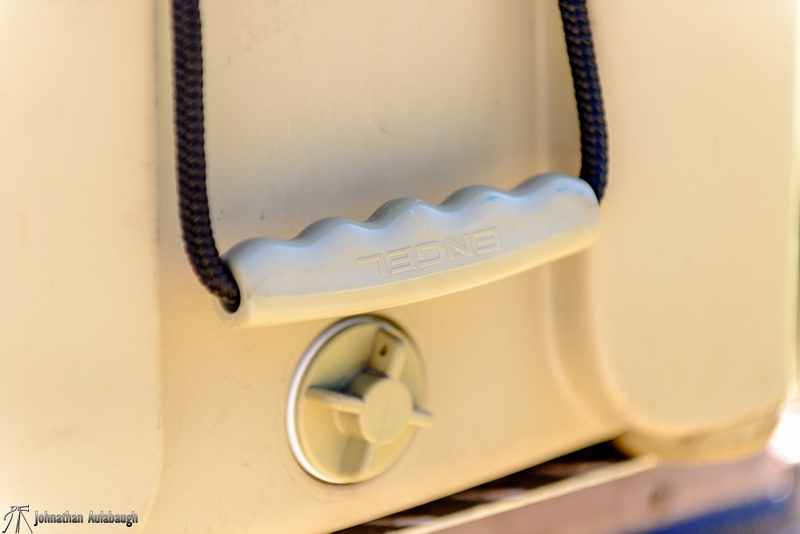 While the exterior dimensions are roughly the same as many of the larger multi-day coolers in the high-end cooler segment, it is the details that make a difference in this cooler. 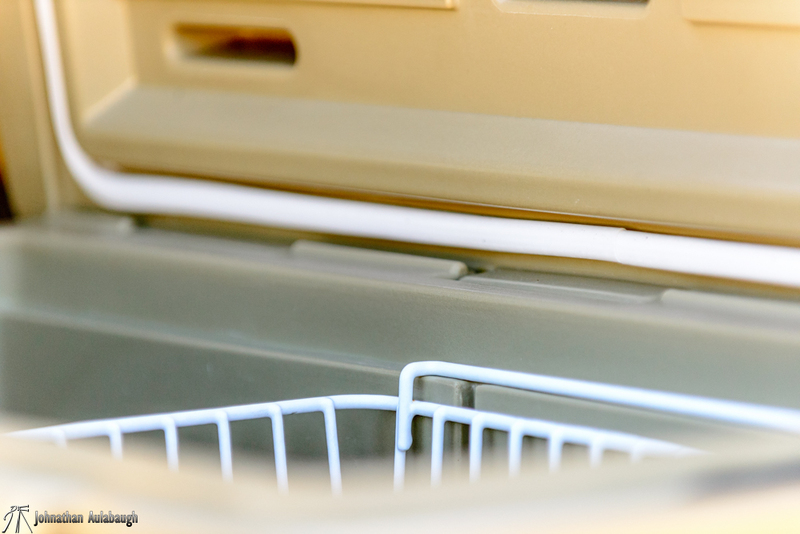 The Polyurethane foam is a full 2 inches thick, throughout the cooler, where some of the other popular brands fluctuate in thickness. The integrated full length lid hinge system is smooth and solid. 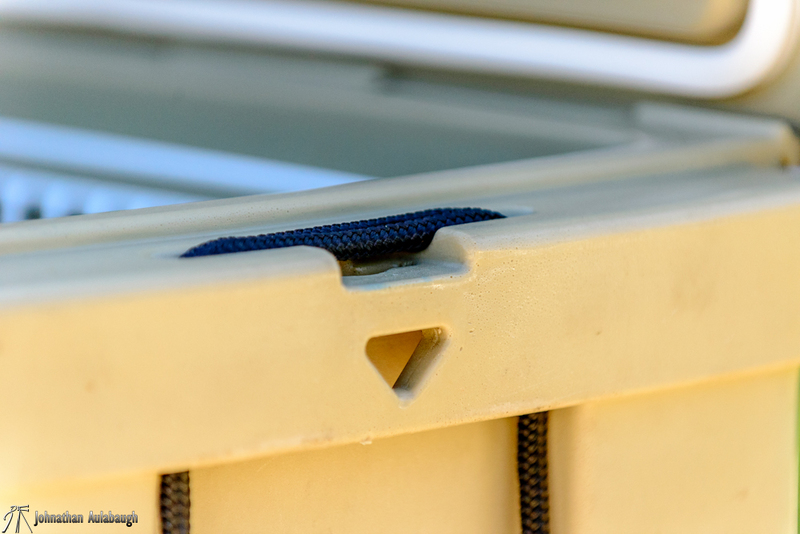 The polyethylene shell is strong and durable enough for even a large person like myself to stand on without damaging the cooler. 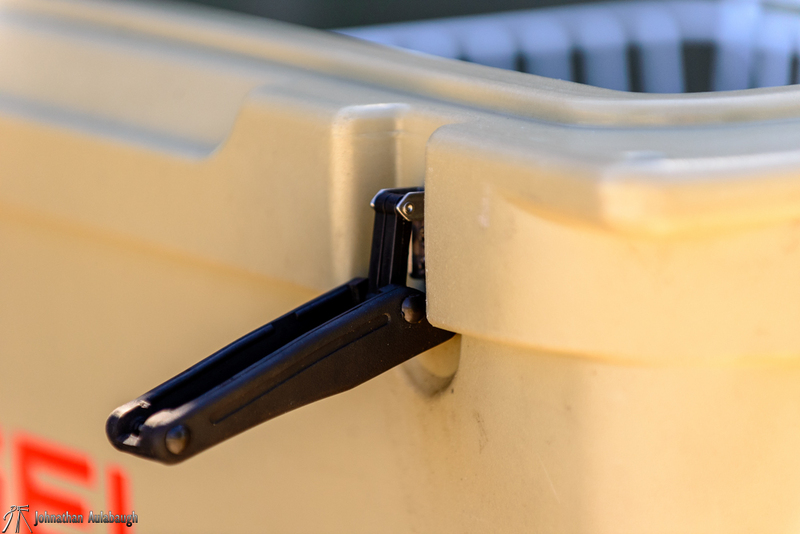 This cooler is so well made that it is certified by the Interagency Grizzly Bear Committee. 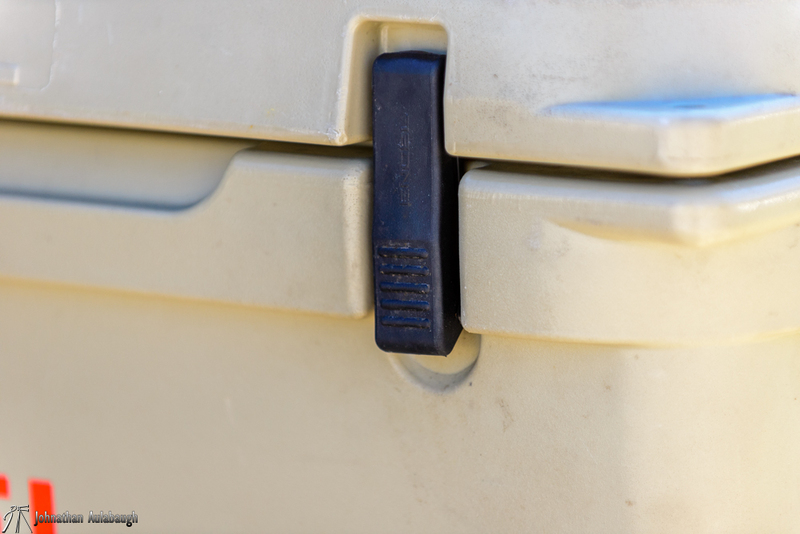 The latching system is recessed and there are locking tabs as well as tie down slots to keep this cooler on lock down as well. With my cooler, I also purchased the wire basket and the cooler divider to keep ice on one side and groceries on the other. Both of these items work flawlessly and I am even looking at some of their other accessories like the bait trays and lid top cushions. 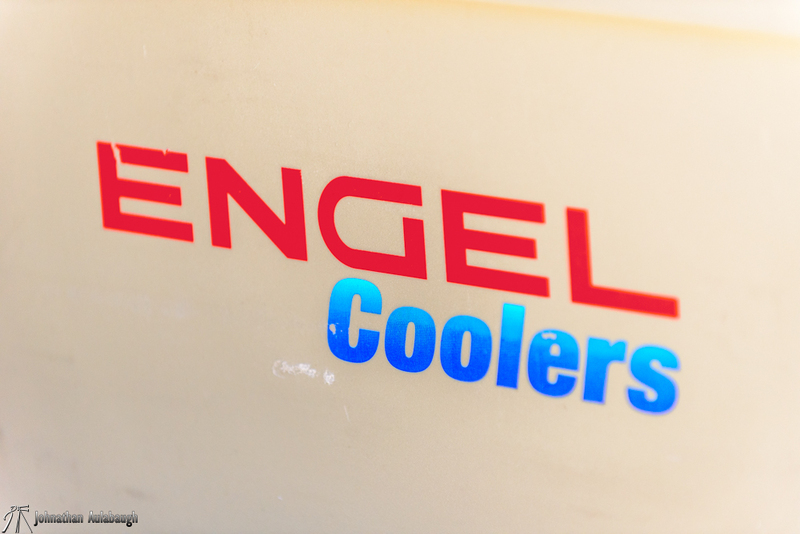 There is much I could talk about in the construction of this cooler, but I will just say that if you have thought about what a cooler should be or do, so has the people at Engel and they have added those features to this line of coolers. So does the Engel 80 live up to it's name? I have been testing and retesting this cooler for a few months now. It may have gone 1 full week without ice in it since I got it. On its first trip I loaded it up just as Engel recommends being sure to keep any air pockets to a minimum and pre-cooling my food and drinks before putting them in the cooler. On the first night, some steaks I had planned to grill and intentionally left thawed had frozen in the ice. Easily remedied and lesson learned. That first trip was 9 days and we still had partially frozen foods when we got home. Granted it was not super warm but the fact that we still had partially frozen food is a testament that this cooler stays cold for way longer than the mainstream 7 day cooler that lost ice in 4 days max. A single 20lb bag of ice will keep my drinks cold all week even with open air inside the cooler. This cooler is so solid that I can stand on the cooler all day and have no issues with the lid flexing or losing seal, if anything it just made the seal even tighter. So what do I not like about the Engel 80? Not a whole lot actually, Sure this cooler is a bit heavy but when you figure that the thicker walls and superior seal from the silicone gasket also mean less ice melt, the weight is actually a benefit. If you can get past the sticker shock and understand that an Engel cooler is a lifelong purchase instead of a yearly replacement item then you will understand that some things just should not be cheap. As you may have noticed, I really like my Engel Cooler. The Engel 80 is big enough for several days adventuring and tough enough to make a grizzly think twice. After several months of use and comparing this product with the competition, I have yet to see a cooler line that can match Engel. Check out the images below to see more images of this cooler.